The Boxtrolls will be in theaters on September 26, 2014 and the film looks great. 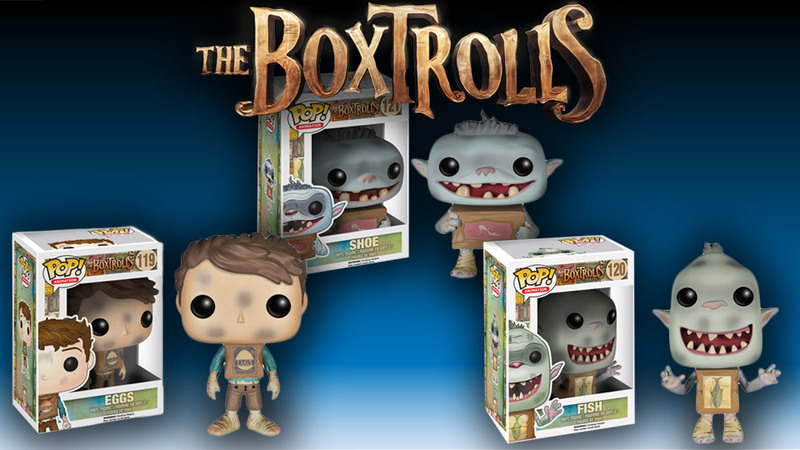 Funko has announced a new set of Boxtrolls collectible vinyl figures to coincide with the film’s release. We don’t know the characters on screen yet, but you can choose from Eggs, Fish or Shoe. Best names ever, by the way.